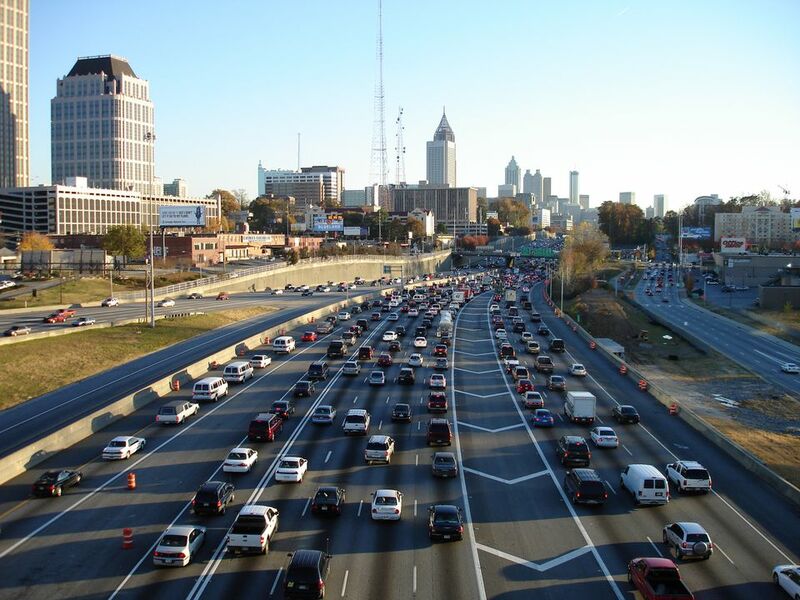 Since metro Atlanta traffic is legendary (and not in a good way), if you are a frequent traveler on Georgia 400 (GA-400) or will be visiting the area on a regular basis, you should consider getting Georgia's version of the EZ-Pass. Formerly known as the Cruise Card, Georgia's Peach Pass allows drivers to move easily through toll booths and gives access to the I-85 Express high-occupancy toll (HOT) lanes. The I-85 Express Lanes cover a 16-mile stretch in North Metro Atlanta near the heavily-traveled Spaghetti Junction area. The lanes run north and south in Gwinnett County from Old Peachtree Road to Chamblee-Tucker Road. Your Peach Pass is linked to a credit or debit card, eliminating the need to slow down at tolls while trying to dig up enough exact change to pass through. And it's compatible in neighboring states as well; your Peach Pass will let you travel on toll roads in North Carolina at the reduced NC Quick Pass rates, and in Florida, you'll pay the lower SunPass rate. Like the EZ-Pass in other states, Georgia's Peach Pass is a transponder affixed to your car's windshield which is activated when you drive through a state toll booth. If you want more than one vehicle registered, you need a separate transponder for each one, but you can link more than one vehicle to a single account, so the same credit card pays for your Peach Pass and family member's passes. Note that if you're using your Peach Pass to access the HOT lanes, you'll still need to adhere to the rules for minimum occupancy (no fewer than three people in the car). The easiest way to get a Peach Pass is to enroll on the website. Fill out the application and choose a funding source, and you'll receive your pass within 7 to 10 days. If you prefer not to use a credit card, you can buy a preloaded Peach Pass, an option which may work better for vacationers or those who don't plan to use it all that often. Just be advised that the pre-loaded "Pay and Go" Peach pass is not eligible for the discounts in North Carolina and Florida that the Personal Toll Peach Pass receives. Be prepared to provide your plate information along with the make, model, color, and year of your approved vehicles. You will be charged a fee per registered vehicle, and will also need to start your account with a $20 prepaid balance. If registering online, you'll need to pay by credit card to submit your registration. If you choose to activate multiple passes, your total prepaid balance will be shared across all of them. Your account will remain associated with your credit/debit card. Each time your Cruise Card passes through a toll lane, the applicable toll fee will be deducted from your account. When your available credit drops below $10, your credit/debit card will automatically be charged $20 to replenish your account. If your payment or vehicle information changes, be sure to update it online so that you are not charged any penalties.